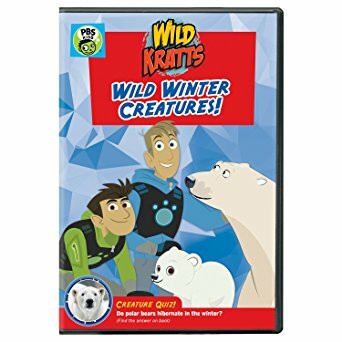 My children and I have been watching Wild Kratts since they were ages 4 and 2. We love the adventures the Kratt brothers find themselves on. We expected no less with this title. Popcorn was popped and the couch filled up with bodies as we sat together and enjoyed the whole thing! My favorite part was Polar Bears Don't Dance. I always say that our big white dog looks like a polar bear. This Wild Kratts DVD features 4 wild adventures for your children's pleasure! You can find these wild adventures available everywhere today!